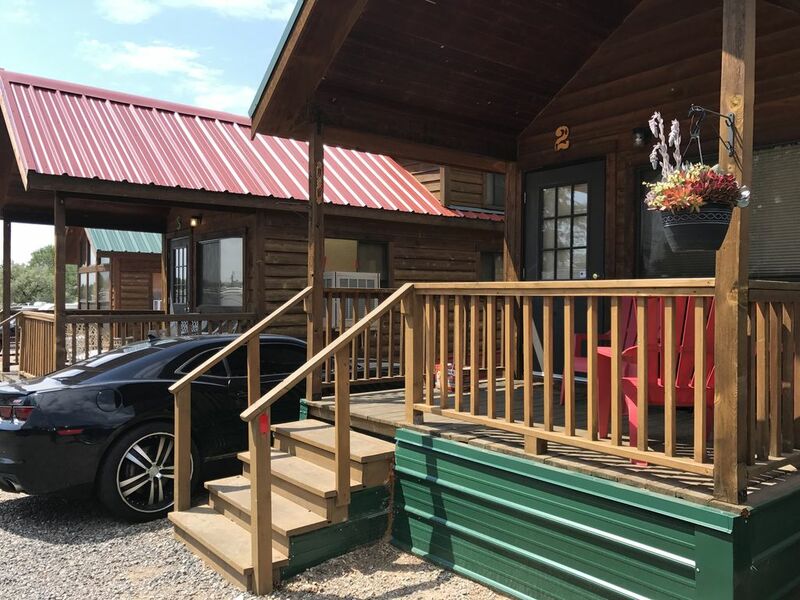 Fully furnished cabins for your Santa Fe stay: The main floor has a Full Bedroom, Full Bathroom, Kitchen and Living/Dining area. The upstairs Loft level includes a King bed. Outdoor picnic table. The cabins are fully furnished with bed linens, towels and kitchen items. All you'll need is shampoo and your own food! Our office is nearby with morning coffee and a small shop with snacks, sodas and some souvenir items. The bathroom has a bathtub and shower, toilet and sink with cabinetry. We are located just 3 miles from Santa Fe's Downtown/Plaza area. We are within just a few blocks of Meow Wolf, numerous restaurants and shops and several grocery stores. Dishes, eating utensils, pots and pans, cooking utensils, baking dishes, etc. The combined living/dining area includes a dining table and chairs. Location was perfect for us, was pleasantly surprised with extra bed in the loft. More space than we expected. The cabins are nice. There were more beds than we thought, and it was more spacious than I originally thought. We had a great time. The cabin was nice. Besides a minor problem with the TV remote (not a big problem) we were comfortable. The price was somewhat reasonable for a busy Santa Fe weekend. We might just stay there again. The price was right for a stay in Santa Fe over Thanksgiving. I like these units. The only minor drawback is the location. I imagined how nice they would be in a different locale. The park was quiet while we were there and I bet it can ramp up with full occupancy. The units themselves are great and well laid out and more roomy than you would think for a "tiny house" type of lodging.